About Laws Law Firm, P.A. Laws Law Firm, P.A. is a full-service law firm that has proudly served the Arkansas River Valley since 1960. Since such time, our dedicated team of experienced trial attorneys has dedicated itself to the legal needs of individuals, families and businesses of our great community. Our firm has a proven track record of providing an exceptional commitment to quality and aggressive representation for each and every client we represent. We take great pride in offering a client-focused approach to protecting your best interests and legal rights. The firm’s founder and Russellville native, Ike Allen Laws, Jr., served as lead counsel for the firm for over 40 years. Prior to establishing L.L.F., Ike, as he was known to his many friends, family and colleagues served as a Captain in the United States Army. 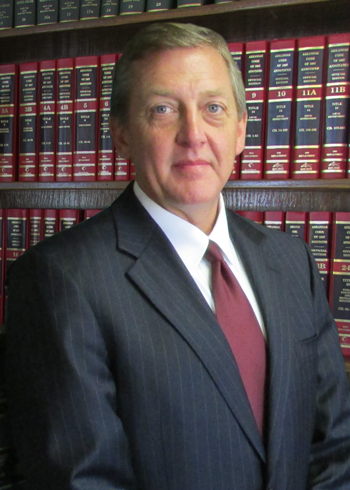 Spanning his 50 year legal career, Ike was among the first attorneys in Arkansas to be certified as a Criminal Trial Advocate by the National Board of Trial Advocates. He was also a Special Associate Justice to the Arkansas Supreme Court. 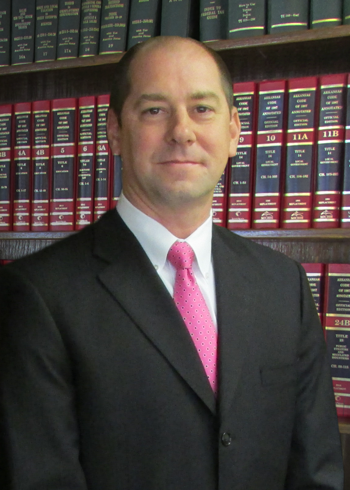 His career of service includes being elected Atkins city attorney and deputy prosecuting attorney. 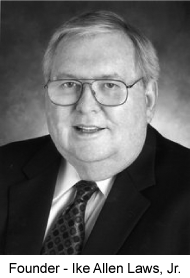 Ike was a member of the Pope County Bar Association, Arkansas Trial Lawyers Association, board member of Western Arkansas Legal Services for the Indigent and the Arkansas River Valley Symphony Guild where he served as president of both organizations, the Arkansas Arts Council, board member of the Arkansas Arts Center and First United Methodist Church. For nearly thirty years, Ike’s two sons and partners of L.L.F., Ike Allen Laws, III and Hugh R. Laws, have continued their father’s legacy of providing superior legal assistance and representation to the thousands of clients they have served.